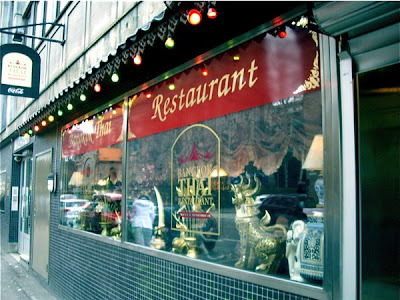 Updated October 6th 2010: Bangkok Thai Restaurant, Oslo, is closed for business. 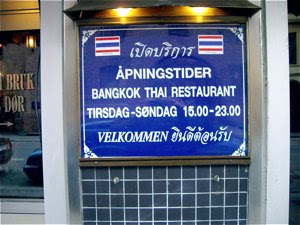 (Reviewed December 17th 2008) Bangkok Thai has served Thai food for a long time for the citizen of Oslo east end. Located in my neighbourhood, I visit Bangkok Thai 3-4 times a year, and never leave disappointed. Located at Grønlandsleiret in Oslos East End, once a run down, working class area, now a revived and trendy area of the Norwegian capital. 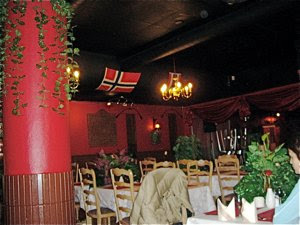 Easy accessible, 5-10 minutes away from Grønland Subway station. Traditional thai interior, bright red walls, thai nick & nack, plastic flowers (!) separates the tables. Tables and chairs in light wood. Not the most creative of interiors. We were placed by a small table with a plastic jungle on my left. Very little space and very close to the next table. Very kind welcome from the Thai staff, but the service ended there. 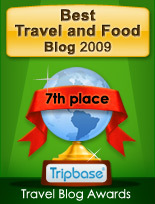 It was very difficult to get anyones attention, and when ordering it took a long time even to get entrée. It was equally difficult to even get the bill. And the restaurant was not under staffed, so there were no excuse for the service. Three skeewers topped with creamy peanut sauce. Presentation: Room for improvement. Consistency: Good - very tender chicken meat in a smooth velvety sauce, crunchy salad aside. Taste and balance: Great peanut taste, but the sauce was a little sweet, but this sweetness was balanced up by salad vinegrette. Price: € 8,50 / NOK 70. I love duck, and I have tasted several duck varieties at Bangkok Thai. Presentation: Delicate on a blue Chinese tray, with freshly cut cucumber and one purple orchid flower as main decorative elements. Consistency: Woked vegetables with good crunch mixed with oyster sauce. I personally would have preferred a crispy duck prepared separately and served on top, as it the fat was soft, tough, and slightly unappetizing. Rice a little too sticky. 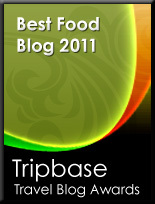 Taste: Well balanced food. The duck meat and vegetable tasted delicious, deep delicate oyster sauce and you were left gasping for air when chewing a hot red chili pepper and green pepper corn. Local brew on draught is a perfect choice for Thai food. A little low on freshness, but the light bitterness and low temperature balance the sweetness and heat of the food. Nice price as well (€8). Recommendable in Oslos east end. Good food at decent prices, slow service.